Just Shy of a Y: My little campers!! 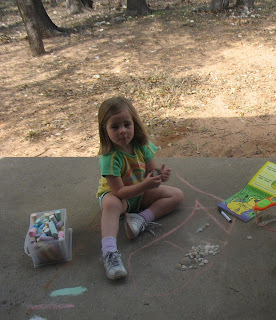 LK sorting her shells and playing with chalk. How cute Angie! Love the new pictures of the kids! They are so cute! Maybe it is a boy thing about them wrinkling their nose and smiling that way! 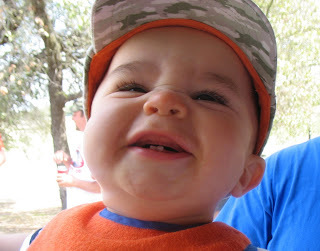 It is one of Zac's all time favorite smiles! Very cute! I promise to post some new one's soon of the kid's! Just so busy these days! Take care!